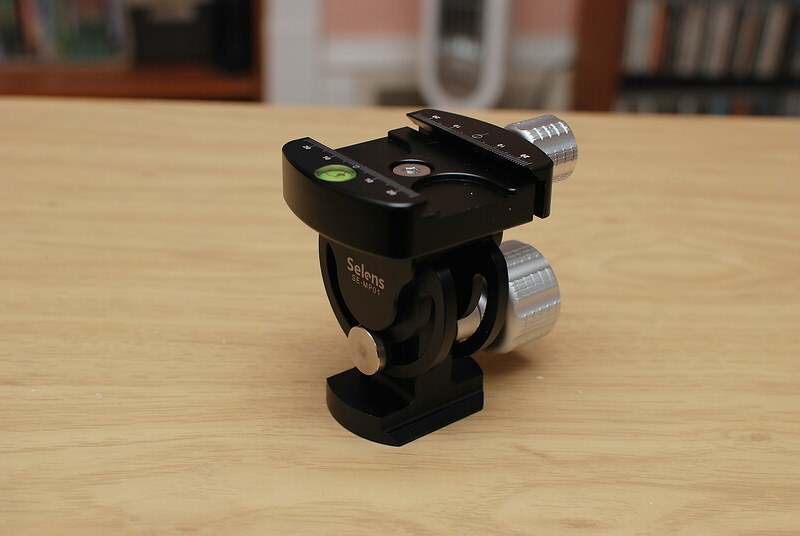 SELENS SE-MP01 tilt-head for a monopod. I have had a nice quality monopod for years now, but I never bought a head to go with it. I tried using the cheapie ball-head on this, but it still had the same problems as it did on a tripod. Mostly I screwed the camera or lens mount directly to the tripod when I used it. If I needed to tilt up or down, I had to lean the monopod. Too much lean meant removing and hand-holding the camera. So many people use a ball-head on a monopod, some others might use a video head. I mainly shoot stills, I can turn the pod if I need to pan. I just require up-down adjustment. 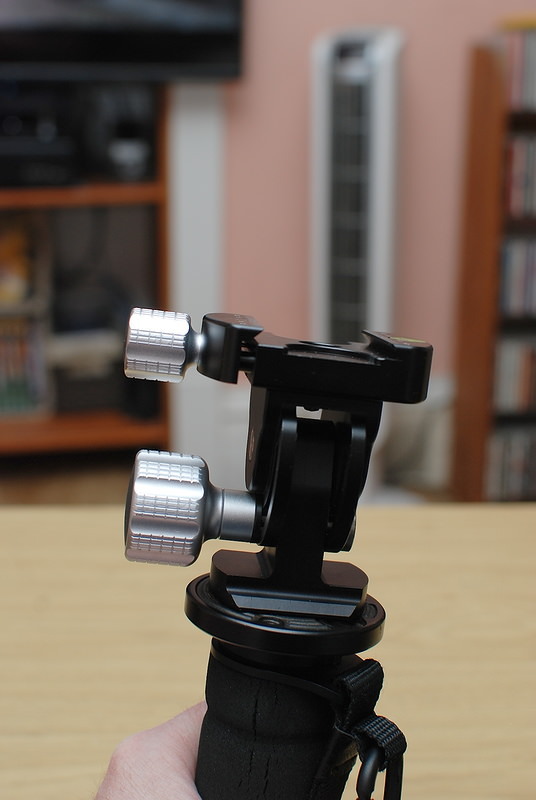 For $40 on ebay, enter this surprisingly solid, simple tilt-head. This is solid metal with minimal plastic used. I only see plastic used for the trim-caps of the knobs, and on the bubble level. There is 180 degrees range of tilt. 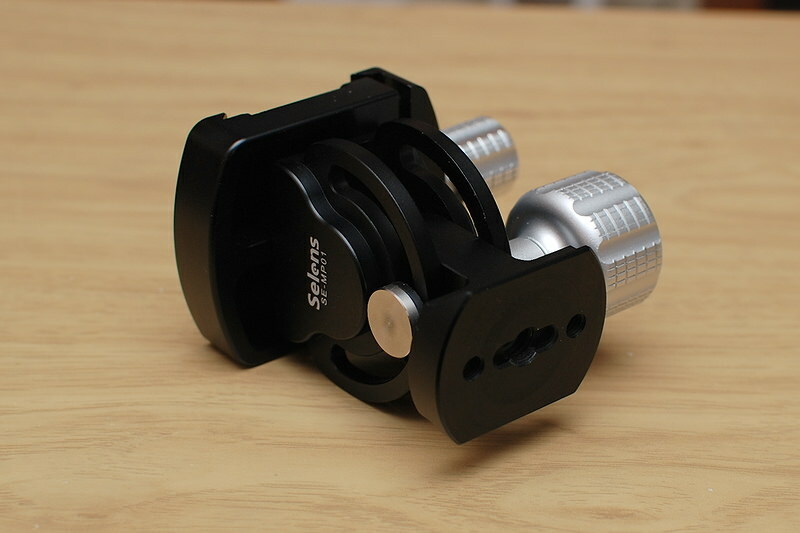 Both the tilt adjust knob and the clamp knob are large and easy to grab. It works simply. It should hold up to being dropped or knocked around. 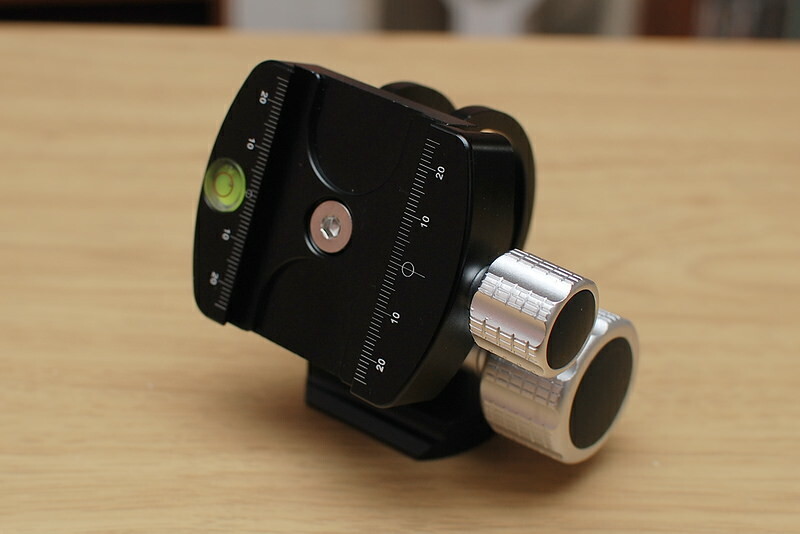 This has the standard threaded mount hole for attaching to a monopod (or a tripod if you must). But notice that the bottom is not round, and it has a bevel on it. It is made to also fit into an Arca-Swiss compatible clamp. This way a person can have a clamp mounted directly to the handle of a monopod for simple attachment to a camera, or add the tilt-head as needed. The Arca-Swiss clamp on the head itself works well and has a built-in bubble level, but maybe does not clamp in quite as far as some other clamps. I discovered this when using an adapter, but all other plates I tested fit fine. Now there is an issue using this head with a L-bracket on a camera body. The clamp is aligned the wrong way, but is correct to use with a long-telephoto lens with it's own tripod mount collar. This is fixed by using a 90-degree adapter for a camera body, or else mount a standard plate on the camera body aligned for the tilt-head. Personally I have chosen to screw this directly to my monopod. I have the option to change that. I even have a spare quick-release clamp to do this with (review farther down). But for now I don't see why I need to do it. But this is a much needed addition to my monopod. I should have done this long ago.